Rest easy in the swivel stool with a comfy bourbon cushion. 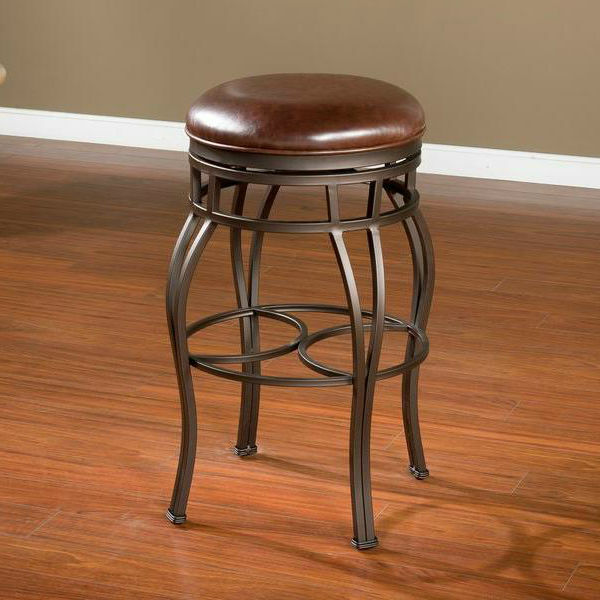 Enjoy a backless bar stool that will add both interest to your décor and comfort to your seating options with the Bella Bourbon Backless Bar Stool by American Heritage. The Bella Bourbon Backless Bar Stool is simple yet sophisticated, with a lush 3” tall seat cushion and tastefully bowed metal legs. 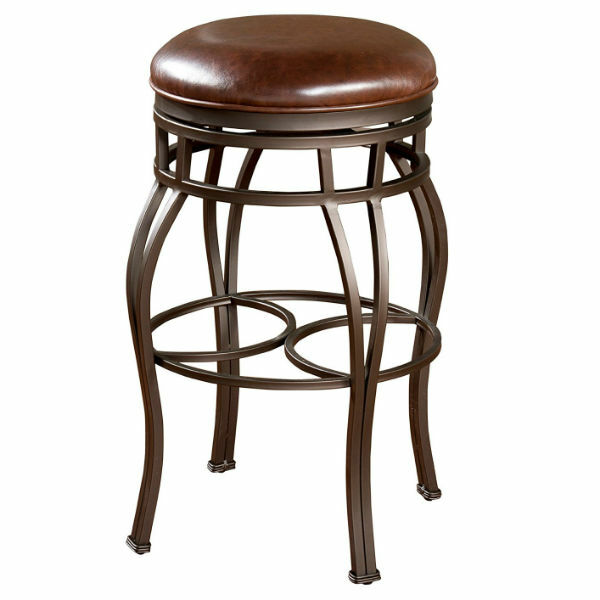 Offering a 360 degree, full bearing swivel, the Bella Bourbon Backless Bar Stool can be used with any indoor bar or bar table. Handy leg levelers allow you to use this classy stool on any type of flooring, including carpet and tile.